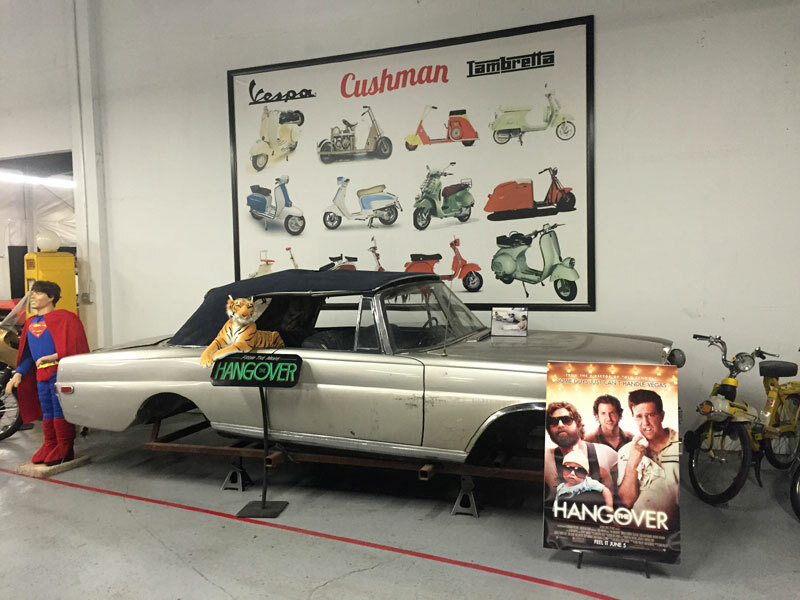 A museum of vehicles used in movies from custom car builder Jay Ohrberg. If you are a fan of cars and the movies, then yes. 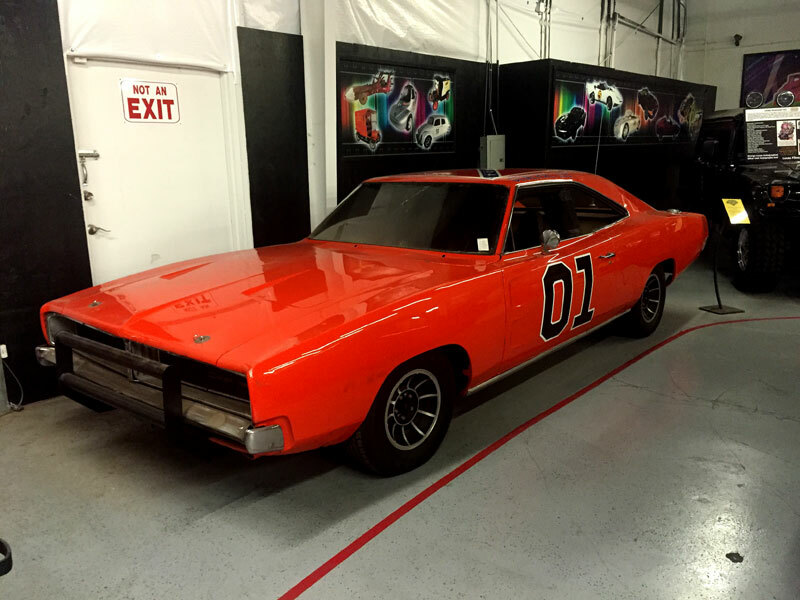 Ohrberg created vehicles like the Back to the Future DeLorean and the “General Lee” from Dukes of Hazzard. Jay Ohrberg is royalty amongst people who view cars as more than just cars but as works of pop culture art. He created some of Hollywood’s most iconic vehicles – the red and white Ford Gran Torino used in the ’70s cop drama Starsky & Hutch; the Batmobile used in the Tim Burton film Batman Returns; KITT, the modified Pontiac Firebird used in the Knight Rider 2000 film; the southern-fried General Lee, a now controversial orange Dodge Charger with a confederate flag on its roof used the Dukes of Hazzard TV series; and, perhaps most significantly, the time-traveling DeLorean used in the Back to the Future movies. Examples of these cars and many more are on display at Ohrberg’s Hollywood Car Museum in Las Vegas. 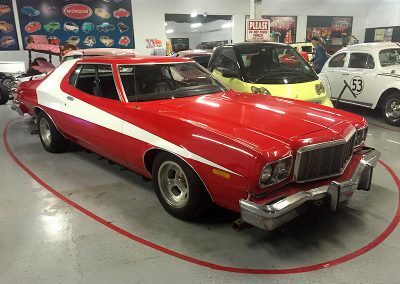 The facility acts partly as a collectible car showroom, partly as a shop for Ohrberg to create new works of art, and as a home to his collection of famous vehicles. It’s not much more than several bare-bones rooms, haphazardly stuffed with automotive masterpieces – sort of like seeing a Picasso hanging in a warehouse – but it gets the job done. A production version of the General Lee is here, as is a Starsky & Hutch Torino. 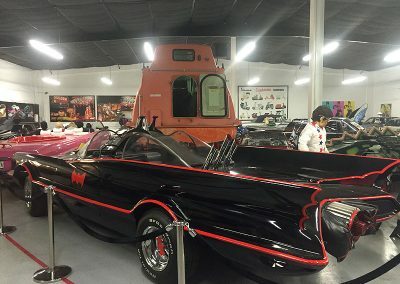 There’s a van from The A-Team, a Back to the Future DeLorean, and several Batmobiles, including ones from the ’60s era TV show and from the Christian Bale era movies. Bond, James Bond, is represented with the original “submarine car,” a heavily modified Lotus from The Spy Who Loved Me, and more from the Daniel Craig films. Vegas fans should get a kick out of the destroyed Mercedes convertible from the first Hangover movie. Keep going and you’ll find Herbie the Love Bug, cars from the Fast and the Furious movies, wacky vehicles from the Flintstones movie, and even a life boat from the movie Captain Phillips. Several of Ohrberg’s wilder creations are also on display including a massive, pink convertible limousine complete with its own hot tub, and several “coffin cars,” hot rods made with a grave digger spin. A section called Liberace’s Garage includes several flashy vehicles from the flashy entertainer’s estate. I would have liked to have seen more context – details about which cars were originals and which were reproductions and how they were used in the filming – but if you have questions, just ask and the folks that work there will be happy to tell you as many stories as you’d like. Ohrberg himself is often on the premises and so you may get details straight from the horsepower’s mouth. Many of the cars were used during filming so they aren’t exactly in the most pristine of shape, but that’s okay – it gives them an authenticity that you won’t usually find with the copies of these types of cars that you’ll usually see on display. The $20 entry fee feels a little high for anyone who isn’t a car or pop culture geek, but for those who are this is a terrific way to spend an hour reliving the past via some really fine art. The museum is located in an industrial plaza on Dean Martin Drive, on the other side of the freeway opposite Luxor and Mandalay Bay. It’s toward the back of the collection of buildings so be prepared to do some hunting.